Are travel guides a thing of the past in this internet age? I say absolutely not! If you are planning a vacation trip to a new and historic city, a well-written travel guide can enhance your experience tremendously. Having recently spent two weeks on vacation in Venice, Italy, I can attest to the usefulness of the 5 Best Venice Travel Books I've spotlighted below. Each one has a unique and very different approach, style and intent and when used together can help make your experience in the city of Venice that much more satisfying and well-informed. It doesn't matter if you are looking for tips on exploring Venice on a budget, finding the best restaurants and places to stay, planning a day trip excursion to the Veneto or perhaps wanting to learn about "Secret Venice" and the many mysteries of the city most tourists never learn about. These books provided us with invaluable information and insight on our recent trip and I can assure you will find them equally useful as well. Rick Steves has been broadcasting and writing about European travel for decades. With his television series Rick Steves' Europe, radio programs and numerous published travel guides, he has made European travel that much easier for thousands - and it's not just hype. His travel books, including his book on Venice, are easy to read and chock full of the most useful information you need as a "newbie" to a foreign city. Steves gives you the best practical advice on how to get around the city on a budget including the scoop on tourist discount passes, how to hit museum and island highlights quickly, and where to eat well (and like the locals) without spending a fortune. Particularly useful for those planning day trips around the Veneto are his suggested plans for visiting nearby cities such as Vicenza and Padua - with Rick's help you can easily tear through the cities in several hours and get in all of the highlights. I will say that for those not on a strict time clock (or budget), Steve's advice might be a bit limited. We lingered far longer in certain museums and sights such as Torcello as compared to what he suggested, and his advice might be a bit too superficial for serious art historians/lovers who are eager to explore the city's many unique and obscure treasures. But for the general, casual traveler I consider Rick Steves' books a must and we never leave for Italy without his guides. They are always nearby in my purse as we walk about the city as in a pinch, he'll help you out with whatever you really need to know. 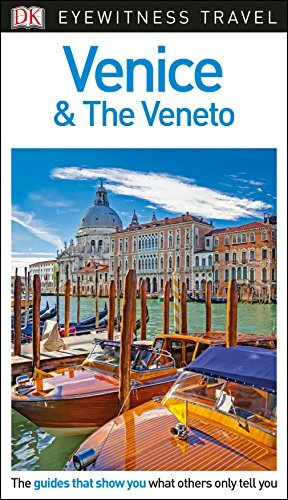 This book contains over 400 pages of useful information on visiting Venice and the surrounding Veneto region of Italy. Complete with suggestions for self-guided tours, how to explore museums in a time-efficient manner, recommended hotels and restaurants, and how to get the most out of the city without breaking the bank. Get a taste for Rick Steves' style with these official videos about Venice from his YouTube channel. This lavishly illustrated travel guide is THE guide for the art, history and architecture enthusiast planning a visit to Venice. The DK guide takes on Venice one sestiere (district) at a time, pointing out important sights worth visiting in each and including cutaway/floorplan diagrams of churches, museums and monuments to make exploring them that much easier. Artistic highlights are pointed out and are easily searchable in the book's index - so if you find yourself in a church and aren't sure what to look for, this book is the easiest and best to have on-hand to make sure you don't miss a masterpiece by Titian, Tintoretto or Veronese. The book also provides a colorful history of Venice as well as a handy guide to see the main attractions of the city in just four days. If you plan on visiting Veneto towns such as Vicenza and Padua, there are detailed guides to these areas as well, with lots of full-color photographs and street maps. 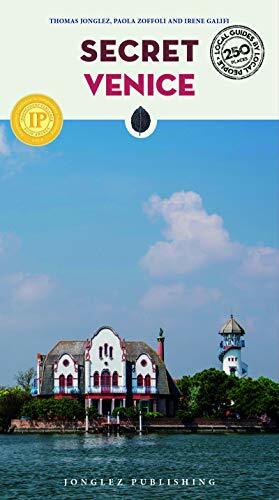 This book is great for those who like to go on self-guided "walkabouts" when on vacation. It contains 24 different themed walking tours around all areas of Venice, including the lagoon islands of Murano and Burano. Explore "Eight Hundred Years of Luxury", "The Island of Reform", the "Artisans of Venice" or perhaps "Where There's Fish There's Gold". Each walk contains a map with stops indicated along the way, the walking distance and approximate time for completion. 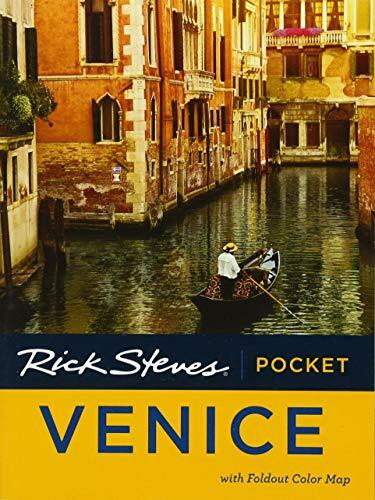 There are also suggestions on where to take a break and stop for lunch or a drink - and I found this book's recommendations spot-on for finding hidden gems among the many tourist trap restaurants in Venice. 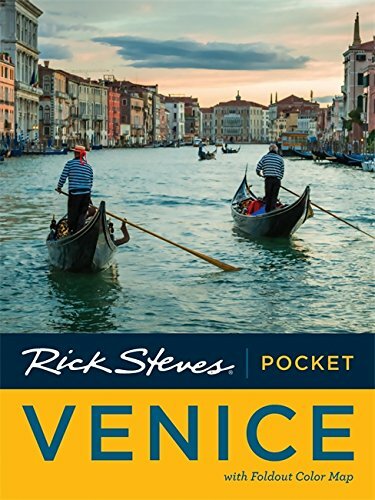 It's a small and compact book, making it easy to tote around in your purse or backpack while exploring Venice. Over 170 pages, fully illustrated in color. A guide by Frommer's which will turn any traveler into their own knowledgeable tour guide. 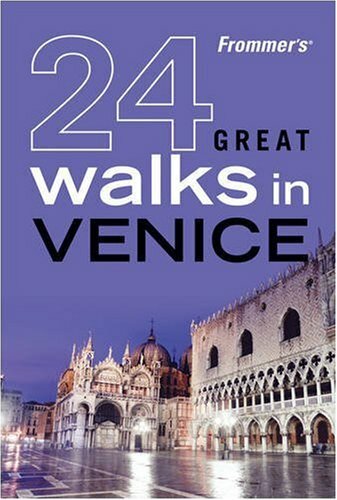 Go For A Walk Around Murano With "24 Walks In Venice"
This no-nonsense guide is very handy to keep on hand while exploring the city or making plans for your day ahead. 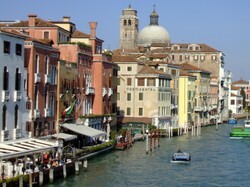 It is organized into useful sections on Sightseeing, Arts & Entertainment, "Eat, Drink, Shop", and The Veneto. Indeed, I found this guide to be the best for planning a day trip (or several days) in Padua, Verona, Treviso or Vicenza with its excellent street maps for the cities and detailed information on opening hours and admission costs for their attractions. 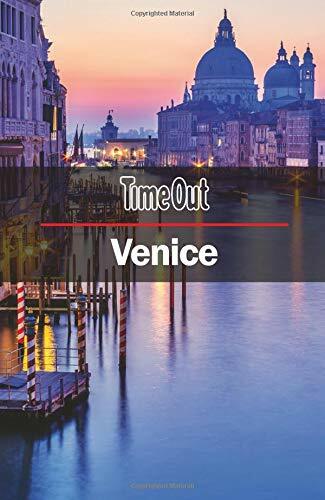 Time Out Venice is thoroughly up-to-date and well-praised as "cutting edge", "hip" and "culturally savvy" by critics and travelers around the world. "Eat, Drink, Shop" provides fine information on recommended restaurants in the various areas of Venice, along with details on traditional Venetian food, wine and sweets. There is useful information on some of the lesser-known and infrequently visited islands of the lagoon such as Sant'Erasmo, San Francesco del Deserto and Vignole. You'll also find spotlight tips on Venice's festivals and annual events, Venice for children, gay and lesbian clubs and establishments, and the performing arts. 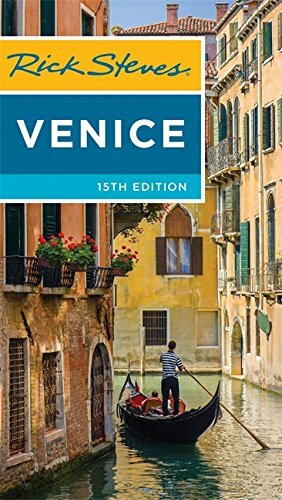 Over 300 pages of fully-illustrated information on Venice, including street maps, practical travel information, cultural context and specific recommendations for eating, sleeping and shopping. This last book on Venice is surely the most unique, and one I absolutely recommend to anyone looking to learn more about the heart, soul and history of the Venetian lagoon. Going district by district, this book points out many curious sights in the city most tourists will pass by unsuspectingly, such as "The lamps of the Doge's palace", "The last traces of the church of the ancient church of Sant'Angelo", "The hole and the angel at Palazzo Soranzo" and "The plaque forbidding child abandonment". Learn how to visit chapels, gardens, libraries and other places normally off-limit to tourists (whether you need to call ahead for permission, or perhaps just ask a church employee for access beyond a locked door.) Learn about alchemy in Venice, the Knights Templar, and the hidden meanings behind great artworks such as Tintoretto's paintings for the Scuola Grande di San Rocco. This book is actually one to be sure to study before visiting Venice, so that you know if you need to make any arrangements to visit certain sights ahead of time - or just don't want to walk by (or over) something truly unique to Venetian history. Just under 400 pages, fully illustrated in color. The book is divided into sections based on Venetian districts (including the lagoon islands), with maps pinpointing the location of each "secret" Venetian attraction. A thematic index at the end also summaries the content based on topic: painting, legends, religion, architecture, history and "curiosities". The Plaque Forbidding Child Abandonment - Find It In "Secret Venice"
Do you have a favorite travel guide you take with you on your vacation trips? Do you think travel guides are a thing of the past and prefer to stick with the internet for travel advice? Leave your comments here!